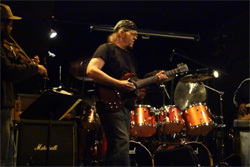 To get a sense of Bill Berends' guitar skills and experience you could drop by his website and read his bio. But let's consider his three main musical outlets instead. 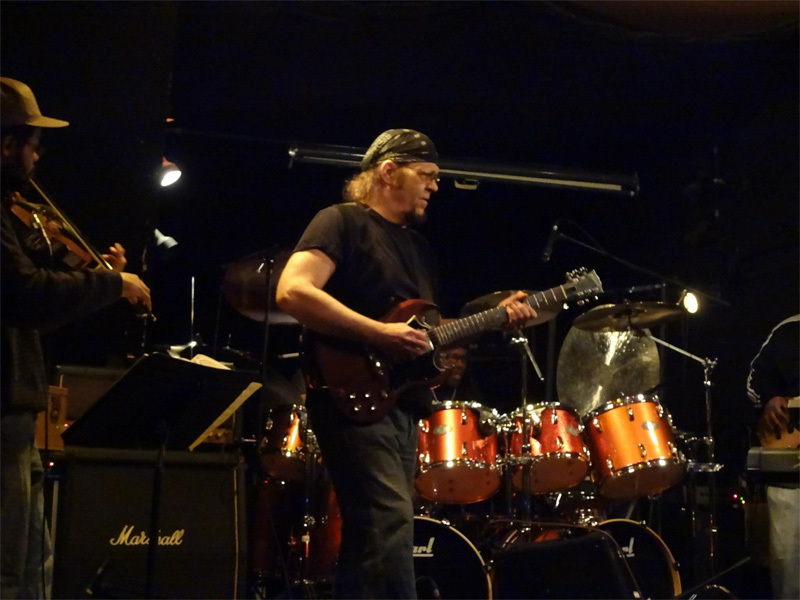 He plays with a progressive metal band, Mastermind, which was my first introduction to him. He also performs with The Berends Brothers Band, a blues rock jam band. On the more eclectic side, Berends also plays for a Mahavishnu Orchestra tribute band called Treasures of the Spirit. Now there's some depth of guitar talent. Bill Berends:: with a guitar, I'm shocked. With his new solo album In My Dreams I Can Fly, as the sunburst on the cover suggests, Berends pursuse more of his rock guitar side. Although you might hear a slight nod to that jazz-rock fusion side, notably in the title track. Mostly, Berends shows his rock guitar versatility. There's the more rowdy side with Rock-a-rama, and the heavier side, with a nod to one of his many early influences, on Heavy Cream. Sometimes it's simply Berends tearing up the fret board with precision and excitement as on Paper Planes or To Days Gone By. (It should be said at this point that Berends is not a traditional neo-classical guitar player like Malmsteem, although I'm sure he could deliver the goods.) You get a heavier rock and blues groove with If Man Were Meant to Fly. Then there's the closing piece The Long Road Home which, perhaps, sounds like an Allman Brothers tune. It's a quieter guitar piece as are the earlier numbers Remember When and In a Quiet Place. A curious thing about the songs here is that many of the titles actually suggest what they may sound like. How many times have you listened to instrumental guitar album with weird song titles like Flying Cuckoo Ate My Alien Love Child, and wondered what it would sound like. Then you discover it's simply some fancy neo-classical twiddling. Alternatively, Berends' Rock-a-rama is a rock song and Remember When has melancholy retrospective feel. It's a nice touch. Fundamentally, Bill Berends is an expert and creative guitar player, and In My Dreams I Can Fly is sterling and entertaining product of his passion. Well recommended. Fundamentally, Bill Berends is an expert and creative guitar player, and In My Dreams I Can Fly is sterling and entertaining product of his passion.